For many, the hard drive is the hub of a digital life. It’s a workhorse in your Mac® or PC. It’s a place where you edit video, store digital memories, watch home videos and movies, and save your most important files. It houses your operating system, programs and games, and can even help you protect all of your digital content. With an award-winning reputation for delivering quality and reliability, Hitachi Global Storage Technologies (Hitachi GST) today announced the industry’s highest capacity 4TB storage solutions – the Deskstar™ 5K4000 Internal Hard Drive Kit and the Touro Desk External Hard Drive – to help store and protect your growing digital life. 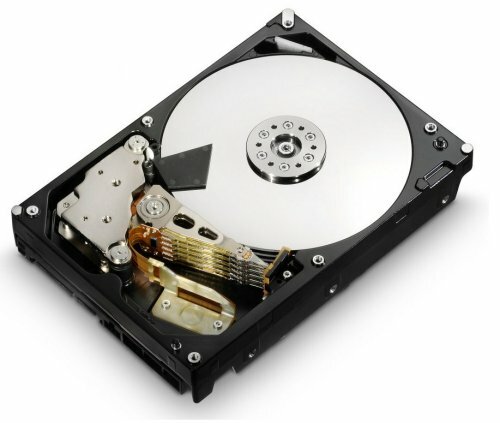 The 4TB Deskstar 5K4000 is a 3.5-inch hard drive with a 32MB cache buffer that provides an exceptional blend of power efficiency and performance, making it an ideal solution for power-friendly desktop computers. Providing 33 percent more capacity compared to current 3TB drives, the Deskstar 5K4000 drive features innovative CoolSpin technology, expanding this class of performance-optimized, energy-efficient drives that run cooler and require less power. The CoolSpin technology, along with other Hitachi power management techniques, gives the Deskstar 5K4000 up to a 28 percent idle power savings over Deskstar 7K3000 7,200 RPM drives and an idle acoustic level of only 2.5 bels. The new 4TB Hitachi Deskstar 5K4000 Hard Drive Retail Kit is currently shipping in limited quantities to online and retail stores with a suggested retail price of $399.99. The 4TB Hitachi Deskstar 5K4000 Hard Drive Retail Kit comes complete with mounting screws, step-by-step instructions, and a software download that allows 32- and 64-bit Microsoft® Windows®, Apple® OS X and Linux® systems to tap into the full capacity and power of the 4TB drive, as one big massive data drive, without having to install extra hardware¹. Consumers planning to use a Hitachi 4TB drive should consult the Hitachi High Capacity Technology Brief. The new drive also demonstrates Hitachi's ecological leadership with its halogen-free design and power-efficient operation. These features helped qualify the drive for the Hitachi EcoTrac™ classification, which identifies products that minimize environmental impact in the areas of product design, manufacturing, operation and disposal. It also uses Advanced Format, which increases the sector size on HDD from 512 bytes to 4096 (4K) bytes, thereby increasing capacities and improving error correcting capabilities. Please see the Hitachi Advanced Format Technology Brief for more information. Hitachi GST will be shipping its Deskstar 5K4000 (bare drives and bulk pack) to OEMs, distributors and channel partners worldwide in Q1 2012. Placed vertically or horizontally, or even stacked, the Touro Desk External Drive perfectly fits into any home or office environment. Featuring a smooth black, textured body for solid good looks, the Hitachi Touro Desk External Drive provides easy add-on storage for all your photos, movies, music and documents. Offering colossal storage capacity, it can store hours and hours of high-definition video, thousands of movies, songs and photos, and tons of video games with room to spare². Bundled with the Hitachi Touro Desk External Drive, and offered as a standalone service for anyone to use, every user gets 3GB of cloud storage for free from HitachiBackup.com. Not only does HitachiBackup.com help keep your digital content safe up in the cloud, your online content is available anytime, anywhere, from any smartphone or computer web browser. You can even share your online content with others by simply sending a web link. If you need more online storage, you can quickly and easily upgrade to a paid account and receive 250GB of cloud storage along with Apple® iPhone® and iPad® apps. Housing a Deskstar 5K4000 hard drive, the new 4TB Hitachi Touro Desk External Drive provides plug and play simplicity and a fast USB 3.0 interface with all the quality and reliability you expect from Hitachi. Both Mac and PC compatible, the Hitachi Touro Desk External Drive now comes in 4TB, 3TB, 2TB and 1TB capacities. 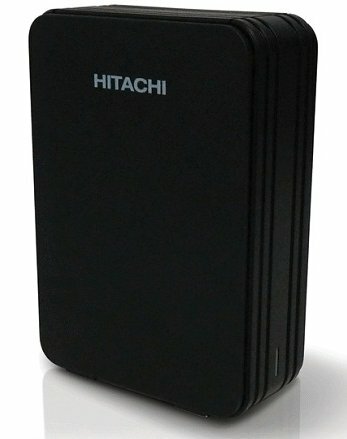 The 4TB Hitachi Touro Desk External Drive will be available in January for $419.99 MSRP.